A volunteer documenting old tools. You may not know it, but beneath the museum is a basement of treasures that include many old tools that are being catalogued and identified. They have accession numbers so that they can be tracked and found when needed for research and conservation. A volunteer is kindly helping to identify and document some of the old tools we have. 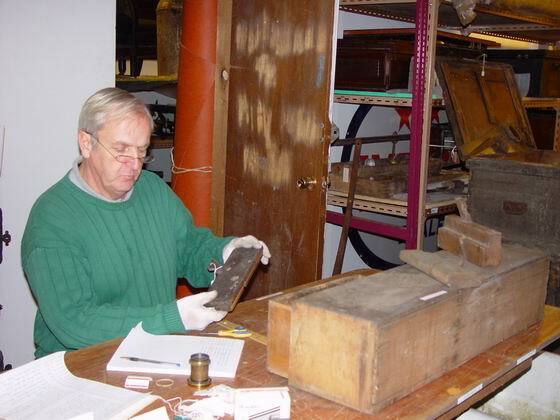 Volunteers are an important part of the museum’s operations and are always welcome.